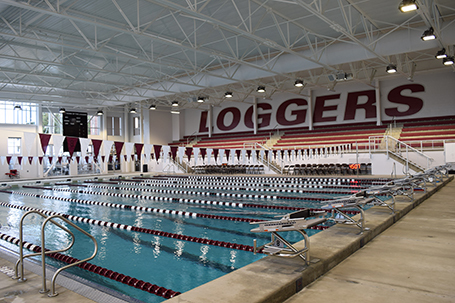 The University of Puget Sound hasn’t had a new pool since their Wallace Pool was built in 1957. 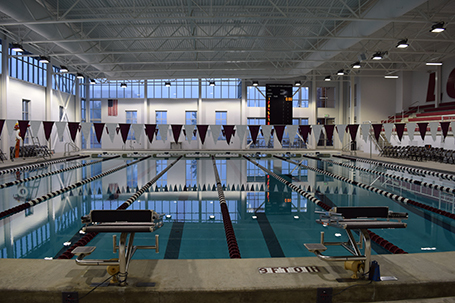 Recent renovations allowed the university to update their aquatics and fitness center making it a world-class facility. In addition to the renovation of 24,000 sq. ft. of the Pamplin Sports Center, 38,000 sq. ft. was added to the Memorial Fieldhouse. 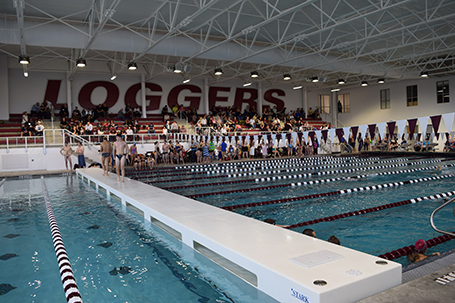 The new Athletics and Aquatics Center serves Puget Sound’s 23 NCAA Division III varsity teams; intramural and club sports teams; faculty, staff and alumni; and community partners such as the Metro Parks Tacoma aquatics program and local swim clubs. The space will also be used by Puget Sound’s exercise science, physical therapy, and occupational therapy programs, which provide health services to some 300 local residents each year. The aquatics center includes a competition pool with eight 25-yard lap lanes including areas for water polo, scuba diving, kayaking, swimming instruction, rehabilitation, and aqua therapy. Seating is provided for nearly 400 spectators. The new fitness center has a climbing wall, renovated locker rooms, varsity team meeting rooms, a rowing room, offices for coaches, a sports medicine facility and additional cardio and weight equipment.